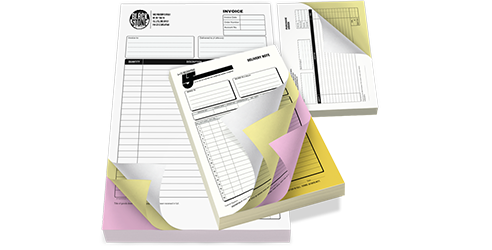 Carbonless/NCR forms and receipt books is our specialty as we stock skids of carbonless paper and we print millions of forms a year for Medical Facilities, Fitness Clubs, Food suppliers, Contractors and more. RUSH SERVICE IS REGULAR SERVICE FOR US, WITH ALL THE PRINTING DONE IN OUR FACTORY! !